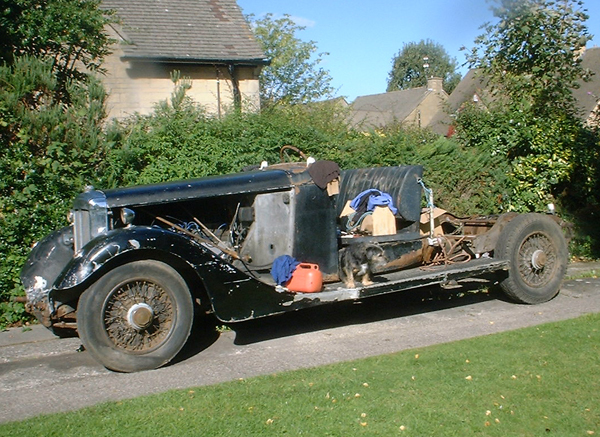 A chance conversation with Daimler and Lanchester enthusiast Dave Philpot lead me to purchase this wonderful chassis. The car was registered in 1933 and originally fitted with a Limousine Landaulette body by Hoopers, one of the finest coachbuilders. During the Second World War the Daimler was re-bodied as a hearse and earned its keep in the capital, I imagine that it would have had a busy life during the blitz. The Daimler was then exported to Malta, where it continued to perform duty in the funeral trade. Daimler enthusiast Bob Woodward purchased the Straight Eight in the early 1980s and repatriated the car to England. Bob stripped the hearse body from the car and stored the chassis for many years. 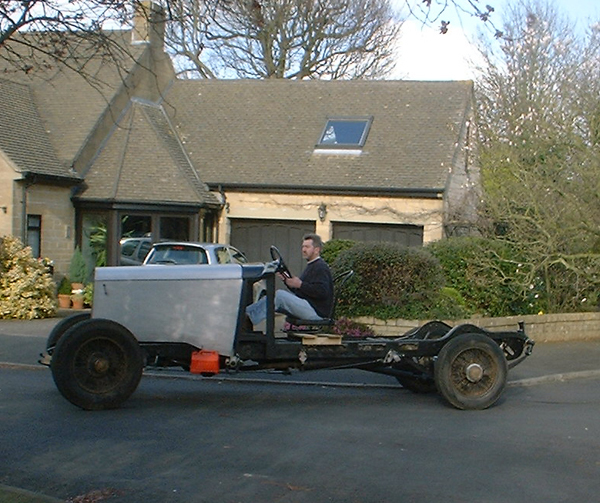 I spent many hours getting the engine to run and generally reconditioning the chassis, I drove it around the island in front of my house, it was very smooth and powerful. It was my intention to fit an open touring body (similar to a Le Mans Bentley), unfortunately a change in circumstances caused me to rethink my plans and I sold the car on. The subsequent buyer continued with the build and eventually sold the car to an Austrian enthusiast at a huge profit. What an impressive sight – the V26 chassis pulled like a train! One that got away, and certainly one that I wished I had kept! If you know of a V26 or V41/2 Daimler for sale, either requiring restoration or in good order, please let me know, I would dearly love another of these high grade cars. If you would like to know more about the Daimler V26 or have one for sale please contact me by submitting the form below.